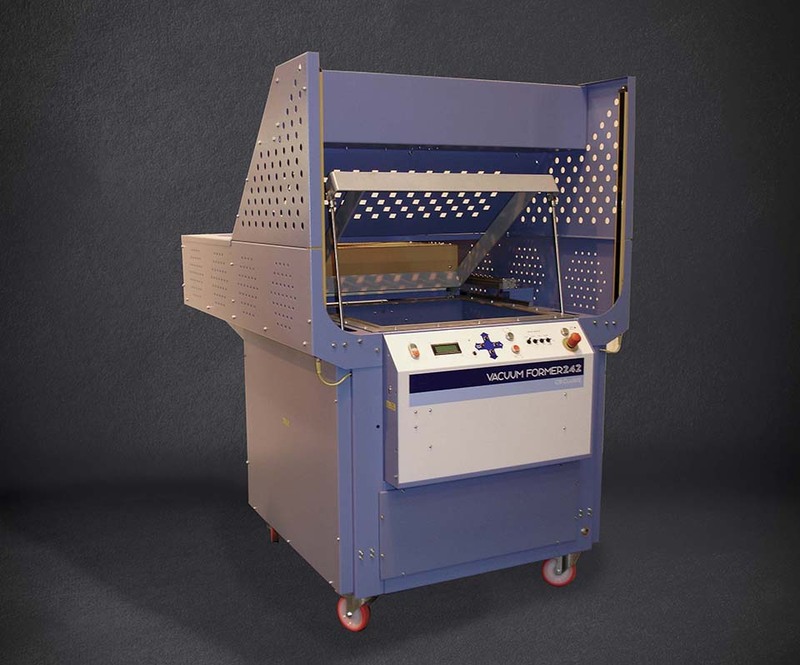 Our range of vacuum forming machines has been developed for high performance, ease of use and low maintenance. The 242 is fitted with a sealed lubrication rotary vane vacuum system offering a minimum vacuum level of -083 Bar. The ceramic heater system provides fast and even heating and slides on high quality linear slides. The platen has a generous 305mm travel, allowing taller moulds to be formed with ease. The machine is fitted with sheet leveling as standard, and has a range of controls to ensure accurate heating of even the most demanding materials. The machine has a high-temperature silicone upper seal, and a lift-out platen seal for ease of service. Reducing plates are available to order, allowing the machine to be adapted for any given material size. 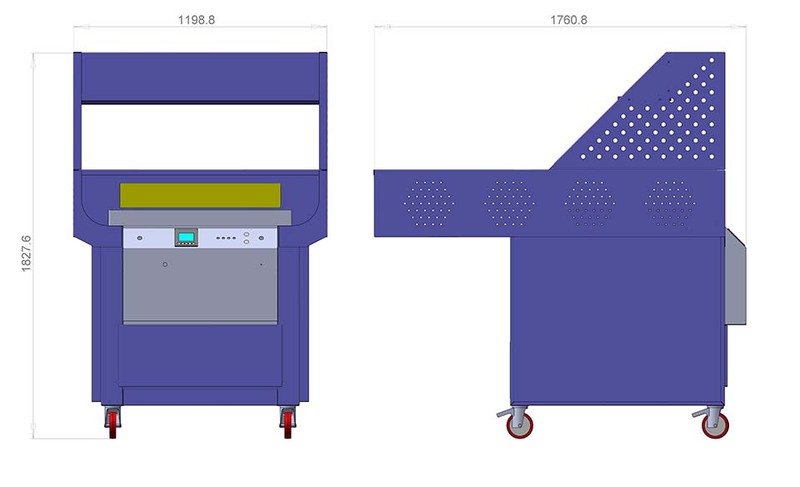 The 242 has touchscreen control and pneumatic actuation of the platen, hood and clamp frame. This allows a load-to-unload automatic cycle. Manual operation of the machine is also possible using panel mounted switches, enabling quick and easy setup and short run jobs. 242R. Reducing Plate made to the customers required size.